When you partner with Pro-Tech you get over 50 years of experience. In 50 years we have seen all kinds of projects and have partnered with a variety of different companies and industries. Half a century of experience has helped us to become western Canada’s experts in heavy industrial moving. Thank you once again for being our event partner in this our 4th Annual Charity Golf Tourney. You have been with us since the start and we are very grateful to continue our relationship! ​Established by William Mott in 1930, Mott Electric GP is one of the oldest and largest electrical contracting companies in the Lower Mainland of British Columbia. Thank you so much for your continued support. With each customer relationship, we strive to deliver the unmatched value and excellence that has made us a leading manufacturer of custom truck bodies, trailers and enclosures. Thanks to Bernice for all the support this year! SRK Consulting is an independent, international consulting practice providing focused advice and solutions to the earth and water resource industries. For mining projects, we offer services from exploration to mine closure. ​A big thank you to Linda Cue and everyone at SRK who contribute so much every year! approach to business. Thank you for your continued support! Bel-Tech Construction is an expanded-services general contractor for wireless communications site construction. Our knowledgeable staff treats every project with the utmost care and diligence, and we are dedicated to a high standard of quality. We believe that with precise planning and care, every client project can be realized safely and accurately.​ Thank you Simi for the generous donations! WesTower was founded in 1990 as a tower design and construction company. Over the last 25 years WesTower has grown to become the largest self-performing services provider in Canada. The WesTower team is comprised of the most experienced telecom professionals in the industry with a deep commitment to providing our clients with the highest standards in safety, quality and on-time delivery. Thanks for another year of donations Jim Henry! HighAngle's growth and success continues to be based upon responsive service, technical expertise, fully qualified safety-trained personnel, and above all on the consistently high quality of our installations. HighAngle's pricing is competitive, but we will never 'price-compromise' the quality and long-term reliability of your installation. Thanks for the continued support! OEM Battery was established February 1, 1980 and have been directly involved in the Telecom industry since 1982. OEM has been a major battery supplier to TELUS with their C&D/Dynasty brands. Thanks to John Ellis for the generous support again this year! Servicing the telecommunications and Broadband market for over 16 years, we deliver successful and consistent key projects for all the industry carriers. From rooftops, in-building coverage solutions to urban and rural tower locations, we specialize in managing the implementation of Wireless Infrastructure and Design-Build Projects in all aspects of Telecommunications and Broadband technologies. best android app developers Thanks for your 2nd year of support! CanTech Telecom Inc. is a Vancouver based telecommunications engineering and installation company specializing in wireless technology for the major PCS carriers. CanTech Telecom Inc. personnel are experienced telecom installers working to exceed major carrier and industry quality standards on outside plant, inside plant and wireless installs on equipment from such vendors as: Nortel, Ericsson, Optima, Westronics, Huawei, Harris, Alcatel Lucent, Nokia, Cisco, Symbol and more. Thanks for supporting us since the beginning! 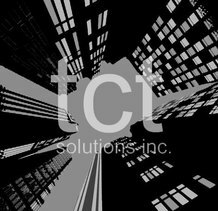 We are a Canadian owned and operated telecommunications solutions company, focusing primarily on wireless solutions for urban and metropolitan areas. Whether it’s small cell deployments, in-building DAS systems, or full build macro sites, we can acquire, design, build and optimize any network solution to meet your specific needs. With decades of experience, our staff provides professional, technical and civil services to our customers, catered to meet your demanding needs. 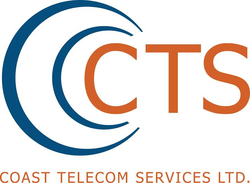 Let Tall City Telecom be your turnkey telecommunications solutions company of choice. Thank you so much for your donation! Since 1979, Pine Lighting has brought you exceptional products with outstanding service and superior value. At Pine Lighting, you will find everything you need to light your home and projects. Thanks for your continued support over the years! Cellular tower service based out of Maple Ridge BC. ​Thank you to Cam Firth for your generous donation this year. We really appreciate it! In business for over 65 years, Western Oil Services Ltd. has built a solid reputation for providing high quality service and support to our clients. From our earliest days of building and installing floatplane and land-based airport fueling systems in northern BC, Western Oil Services has leveraged our expertise to expand our service offering to meet the needs of our growing customer base. Our dedicated and knowledgeable team takes pride in the long term relationships we’ve established with our clients. Thank you for your continued support this year! 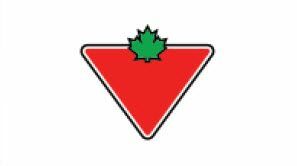 We are a proud Canadian company that knows life in Canada better than anyone else. We offer products and services that help Canadians live active, healthy lives and our store network and staff connect communities from coast-to-coast. Thank you to Terry Sanford at the Surrey (Newton) branch!